Today is Halloween but I am deeply involved in Christmas ideas. That's just the way it is when you are a crafter. I can't wait until the week before. 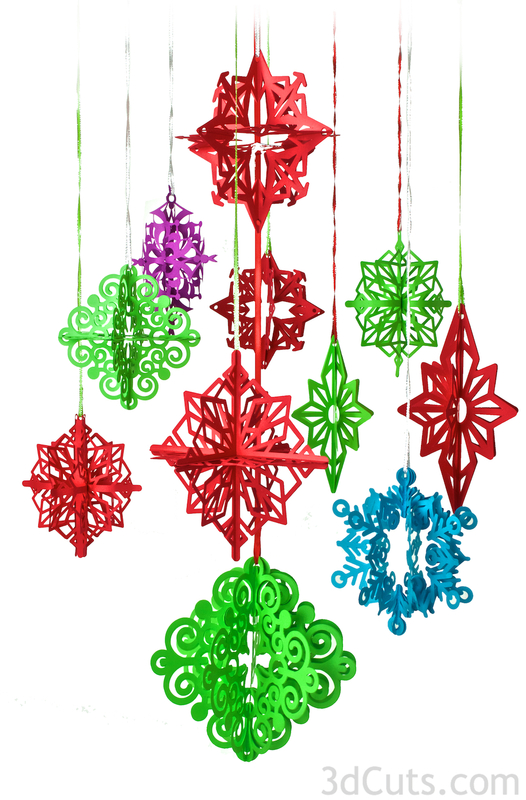 So the past week has been spent creating designs for a new paper ornament series. I have had great fun with this concept. In total I have created 7 different cutting files for my Silhouette and three different assembly techniques. They are all available at my other website 3DCuts.com. So detailed and pretty in all those colours.